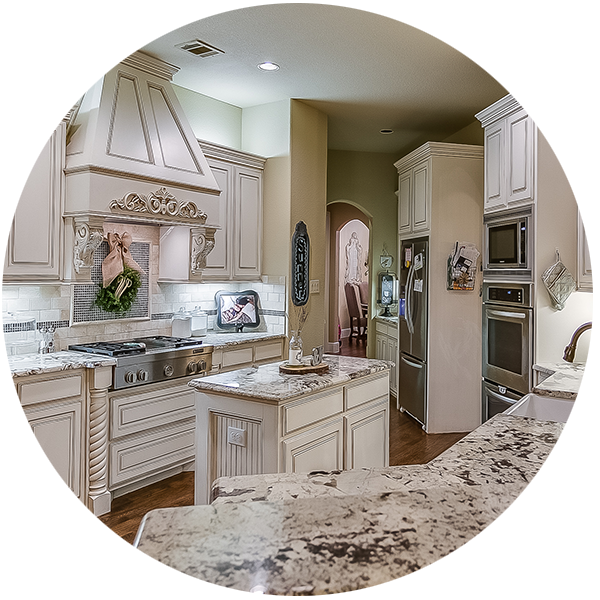 Itchin' For A New Kitchen? Cheap laminate counters: The bottom rung of laminate is extremely susceptible to wear and tear. It can melt if you forget to place a hot pad under a pan that’s fresh off the stove, and the edges can chip off from repeated exposure to moisture and heat. Flat paint: A flat or matte finish is great in rooms with lower traffic, but it’s a bad idea in the kitchen, where the walls are regularly exposed to splatters and spills. You need paint that can withstand an occasional heavy scrubbing, so opt for eggshell or semi-gloss finishes. Trendy backsplash: If you watch any home remodeling shows, you’ve certainly seen kitchens with expensive, elaborate backsplash designs and materials. Those trends can be pricey to pursue, yet can look dated in a hurry. Subway tile is a cheaper, classic option that you’ll never regret—and you’ll have more room in your budget for quality materials elsewhere. If you are about to take the plunge get a second opinion. Get help from a designer and even ask a seasoned real estate professional about potential resale consequences of the choices you make. Avoid trends on the permanent items such as tile and flooring. Pick up trends in your paint colors, light fixtures, and other items that are easy to replace.